The Woolsey Fire came immediately on the heels of a mass killing by a gunman at the Borderline Bar & Grill in Thousand Oaks that took the lives of twelve people. Just weeks before, a gunman entered a synagogue in another “safe” neighborhood – Squirrel Hill, in Pittsburgh – killing eleven people during shabbat worship and wounding others. That this act is nearly universally viewed with revulsion is, perhaps, its only nehamah (consolation). Over the month prior to these events, several Holocaust survivors – individuals who had rebuilt their lives in Los Angeles, contributing to the vitality of their new community for scores of years – were laid to rest, each having remained vibrant into their nineties. Thinking about the lives of these Holocaust survivors – who belonged to synagogues of varying denominations, the tumultuous events of recent weeks and the approach of Hanukkah, it struck me that each Survivor prided himself/herself on a sense of klal yisrael, collective Jewish peoplehood. They were all too directly and painfully aware that those who disparage (and, worse yet, seek to destroy) Jews do not distinguish between such as are “progressive,” “traditional,” or any other modifier. Hanukkah marks a short term victory over Hellenistic military and cultural forces that threatened the Judean way of life. The two centuries from the death of the last of the sons of Mattathias (Simon, who became King and High Priest of an independent Judea) to the revolt against Rome that resulted in the destruction of the Second Temple, was rife with internecine battles among and between various strands of Judean society. We who enjoy the benefit of hindsight, recognize that, in the tumultuous world of which Jews were a part, the dissipation of energy and resources on internal disputes was bound to sap the capacity of Judea to thrive, or – as it turned out – to survive. There are no simple solutions to averting wildfires or constraining the designs of individuals with access to firearms who are intent on killing others. 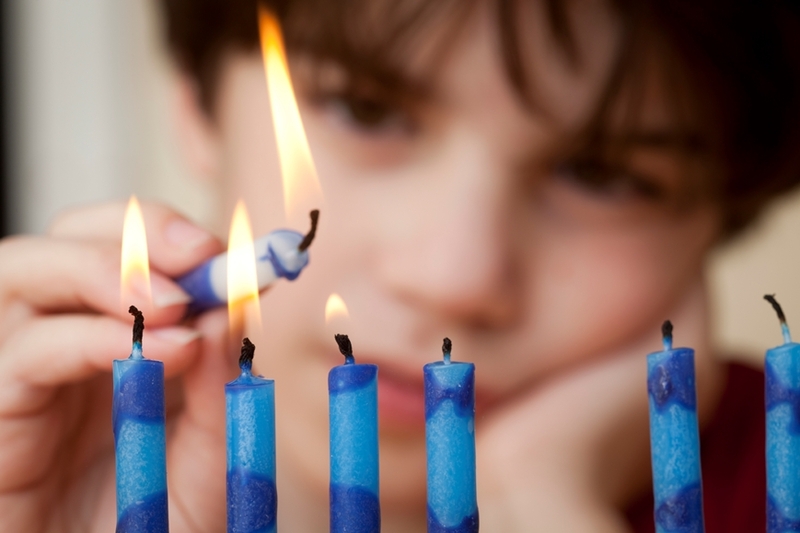 Hanukkah is a reminder that people banding together can overcome great odds; it is, at the same time, a reminder that internal battles can lead to (self-inflicted) destruction. Particularly in tumultuous times, the summons of Hanukkah – the Hebrew root of which means “education” – is to see not only differences, but shared goals.